Children do get ill, and they do need vitamins. 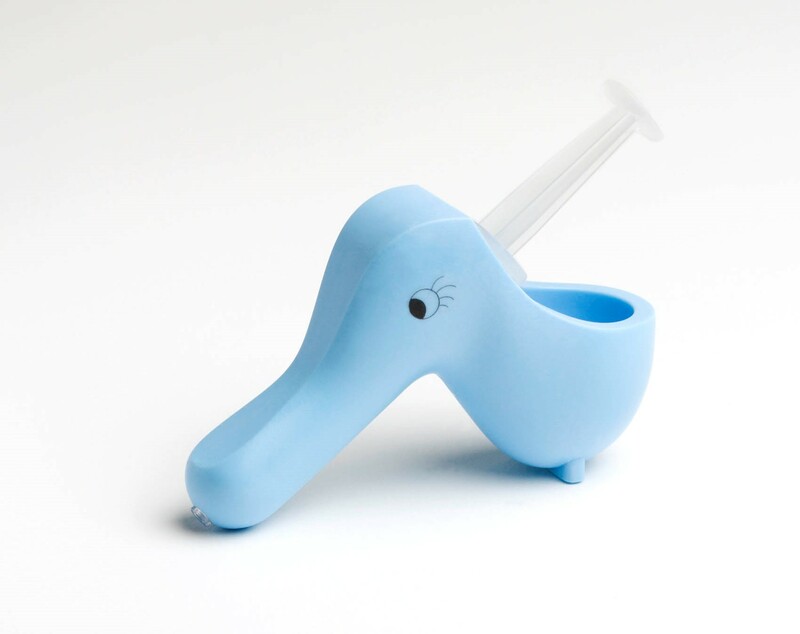 Medicinus encloses the syringe in a friendly, smooth and round shape, creating a more comfortable atmosphere and removing anxiety from both parent and child. 7 out of 10 parents have difficulties in giving their children the right amount of syringe-administered fluid medication orally, as syringes arouse unpleasant hospital-like associations. Medicine in liquid form has a rather peculiar and often a quite nasty taste. If the medicine don’t get to the very back of the tongue (where the swallowing reflex is activated), the reflex is to spit it out.